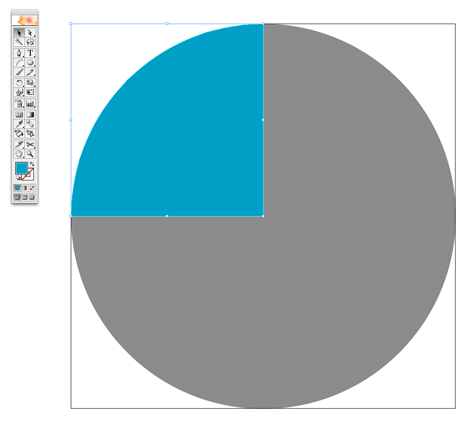 Here’s a quick way to draw a quarter-circle in Adobe Illustrator. It involves using just one tool: the arc tool. These instructions will work in Adobe Illustrator from CS–CS5. Before drawing a freehand quarter-circle for the first time, you must use the exact-size method to enable closed-shape drawing. If you do not, you will only get the curved line, not the whole the shape. Quarter-circle: Hold down the shift key on your keyboard, click and drag to draw a quarter-circle of the desired size. 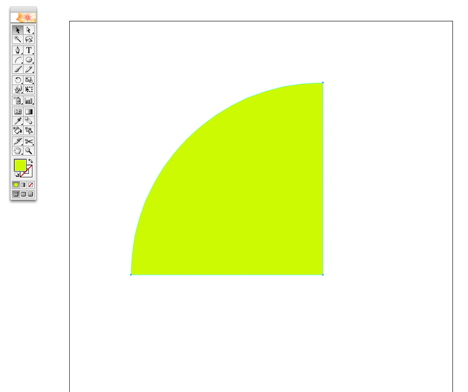 Quarter-elipse: Click and drag to draw a quarter-elipse of the desired size. 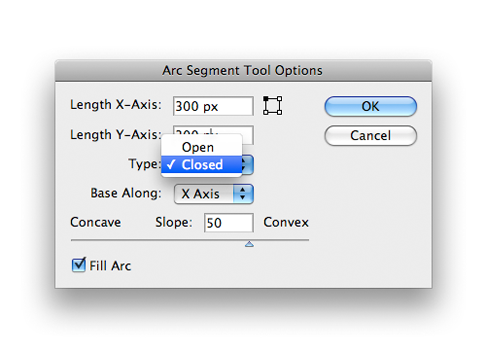 Click once anywhere on your artboard to open the arc tool options dialogue. Type in your desired dimensions for the radius of your quarter-circle, and select Closed from the Type drop-down. If your y-axis and x-values are equal, you will be drawing a quarter-circle, but if they differ, you will draw a quarter-ellipse. Success. You now have a quarter circle. You can change the fill, size, stroke, etc as with any other shape. 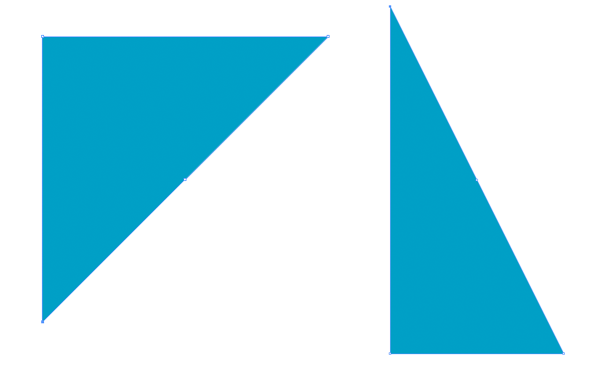 Here’s a quick way to draw a right triangle in Adobe Illustrator. 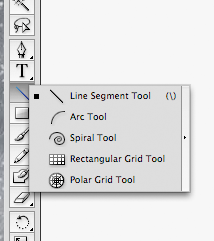 It involves using just two tools: the rectangle tool and the pen tool. Don’t worry if you don’t have much experience with the pen tool—we’re using it very simply. The method: draw a rectangle or square and then use the pen to delete a corner, instantly creating a right triangle. These instructions will work in Adobe Illustrator from CS–CS5. The same strategy should work in any vector drawing program that allows you to use a pen-type tool to delete anchor points from a shape. Square: Hold down the shift key on your keyboard, click and drag to draw a square of the desired size. 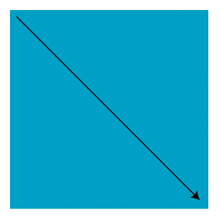 Rectangle: Click and drag to draw a rectangle of the desired size. Click once anywhere on your artboard to open the rectangle dialog. Type in your desired dimensions for the legs of your triangle (not the hyptenuse). 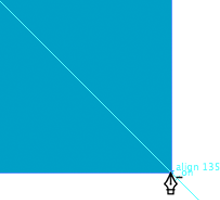 Point your cursor in pen tool mode over the anchor (small square in shape outline) in one corner of your shape. The cursor will change into the delete anchor point tool. Click on that anchor to delete it. Success. You should now have a right triangle. If something happens so that your shape is deselected before you try to delete the anchor, use the select tool (black arrow tool, keyboard shortcut v), to click on your new shape so that it is selected, then try from step 3 again.